Home Entrepreneur Leadership How Do You Change Organizational Culture? Years ago, I was on a panel discussion led by Phil Cooke. Our topic was “How to Change Organizational Culture.” This is something every leader eventually faces. Phil began the session by stating, “culture triumphs vision.” I agree completely. Leaders often wonder why they can’t get traction in making the changes they know are necessary. They articulate a new vision. They change a few policies. They might even replace a few key people. But nothing substantive changes. The problem is that culture is largely invisible to those inside of it. It’s like water to a fish or air to a bird. It’s simply the environment we live in. I faced this when I came to Thomas Nelson in the late 1990s. As an outsider, I was immediately aware of the culture. There were many aspects of it I loved, but others I knew I had to change in order to improve the operating results. The changes in my area of responsibility happened quickly—within the first eighteen months. The operating results also improved dramatically. Changes to the broader company took longer, but, as my responsibilities grew, they eventually took root as well. Begin to notice its characteristics. Pay attention to shared values, the way people express themselves (particularly their language), and the stories they tell about their success and failures. What should stay? Write down the aspects of your culture that you like and want to preserve. At Thomas Nelson we had a performance culture that focused on profitability. I wanted to keep that. We had to succeed financially in order to resource our mission. What should go? Write down the aspects of your culture that must die if you are going to go forward. At Thomas Nelson, we had a “closed book” operating philosophy. The only people who knew how the company was performing were those in top management. I believed that if we practiced an “open book” philosophy and everyone knew how the company was doing, we could all work together to improve results. What is missing? Write down aspects of the culture that seem to be missing or weak. At Thomas Nelson, individual accountability was weak. People were afraid to take personal responsibility and this created a lot of blame-shifting. This is the fun part. Rather than simply complain about what is, begin to image what could be. Imagine you are working with a blank sheet of paper and anything is possible. What would the ideal culture look like? Write it down in as much detail as possible. I wrote down five pages of notes and then distilled it down to ten attributes. I then met with my leadership team, and we fine-tuned it. This became a blueprint for what we wanted to create. Rather than simply complain about what is, begin to image what could be. Culture will not change unless you cast a vision for something new. You have to articulate in a way that is compelling and specific. And you can’t just do this once. One of my mentors said to me, “Mike, you must keep casting the vision. When you start getting sick of hearing yourself talk about it, you’re only half done. Keep speaking it!”Why? Because, as Andy Stanley has noted, vision leaks (see his book, Making Vision Stick). Initially, the only existence vision has is in your words. You have to keep speaking it until it takes root and begins to grow. I’m talking about more than agreement. You need alignment. This is something altogether different. You want a team that buys the vision, understands what is at stake, and is willing to take a stand to make it happen. Think of it as a conspiracy. Not in the negative sense, but in the positive. You and your team are conspiring together to make a positive change that will transform your organization. Even if the people above you won’t change, you can change the culture of your department. That is exactly how I did it at Thomas Nelson. I started implementing what I am sharing here five years before I became the president of the company. Frankly, I think it had a great deal to do with why I kept getting promoted. 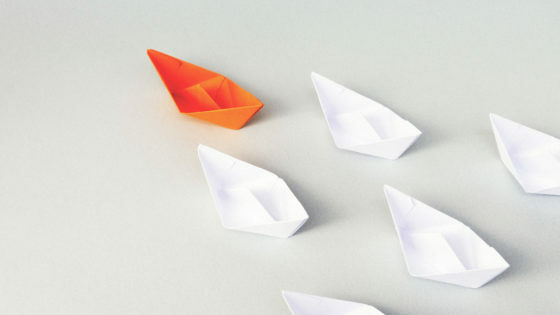 Is it possible to change the culture of your organization? Absolutely. But like everything else in leadership, you must be intentional.